In a large pan heat the olive oil over a medium heat. Fry onion and the garlic in the olive oil for 3 minutes or just as the garlic changes to golden. Add the chorizo and fry until it starts to crisp – discard some of the fat from the chorizo if it is too much. 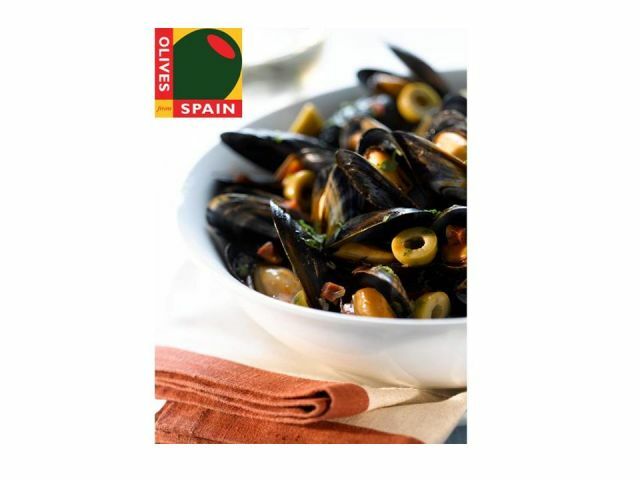 Put the mussels in the pan, with the wine, olives and the sprig of thyme and cover. Cook for about 4 minutes or until the mussels have opened; discard any mussels that have remained shut. Add some fresh black pepper and the chopped parsley and serve immediately.